Another great idea from eBay.... trying to compare something that they know NOTHING about, in a desperate attempt to sell more stuff. A pathetic waste of time. I don't think a single one of those "referral listings" has ever led to an actual sale (in Sports Memorabilia, anyway... maybe in Cutlery or Electronics). Just another unnecessary eBay annoyance. Last edited by perezfan; 03-16-2019 at 02:19 PM. if you can help with SF Giants items (no cards), let me send you my wantlist! I must admit that I took a long look at that Colts pennant last night. It seemed off, but I wanted to make sure. I also came here to look to see if it was the same seller discussed before. The seller of this pennant is rifleman58, from British Columbia. I’ve bought from him before, but never a pennant. Haha. You're absolutely right. 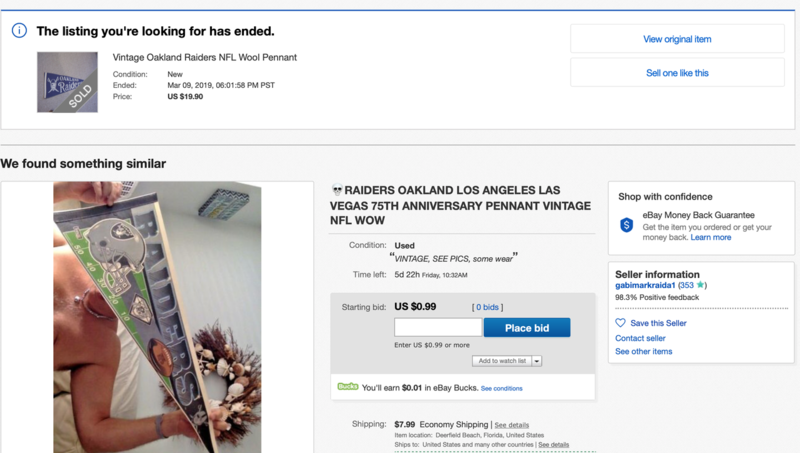 And it's adding insult to injury when you get outbid on an item and then eBay dangles some pathetic POS in front of you as if it's a worthy alternative. Hey Rob...You have this one? New addition...Wondering if anyone has seen this style before? I hadn't. Happy to make a new discovery. 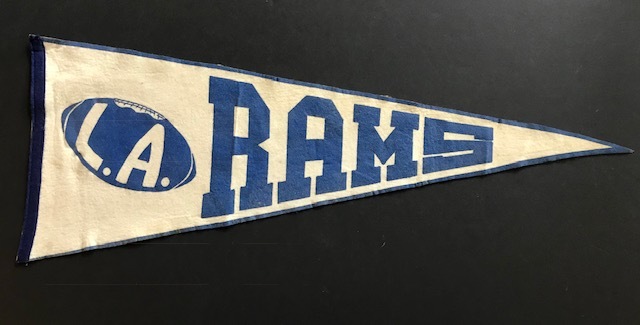 It's been a while since I saw a Rams pennant I didn't know existed. Fake. $249 or best offer. 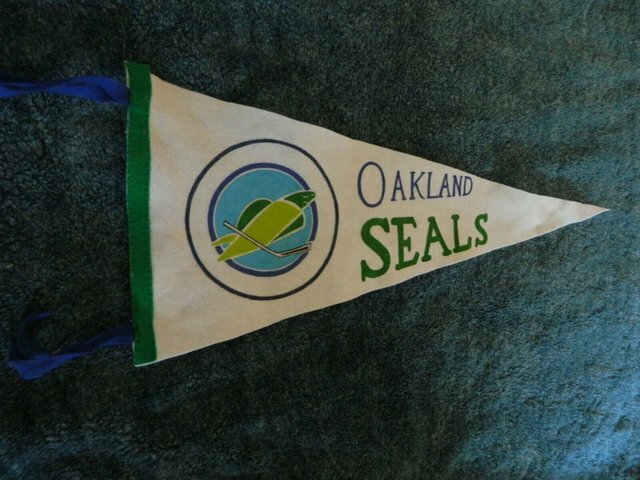 $20+ more than any real Seals pennant on eBay. 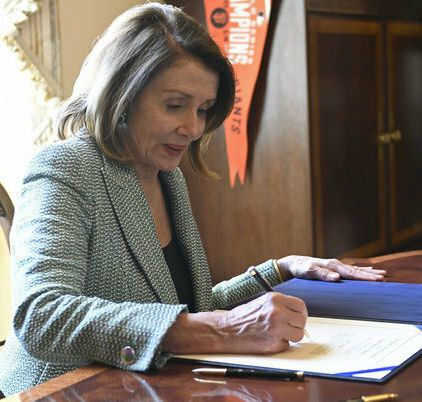 Last edited by Fballguy; 03-24-2019 at 12:40 PM. Cool Trench postcard found on Ebay. That would be really cool to have all those Trench Mfg. single bar helmets displayed in a montage like the post card. Real cool. It's hand dated 1969 by the original sender who also laments the outcome of a 31-10 University of Miami victory over Navy, which occurred on November 7th, 1969. Opinions on this pennant please. Is it a newer retro? Stay away unless you want a repro. Last edited by perezfan; 03-29-2019 at 01:27 PM. That was my amateur opinion as well. Thanks for your input. This page is invaluable and I appreciate it. PCL pennants, hard to find? They ever do any Seals? Jimm- do you have a picture of that pennant? I'd like to see it. Hey Bocca - you have some Seals, no? I don't have any Seals that are old enough.... Although I'd like to get one someday. Seatllerainers posted some PCL pennants on here a few months ago. They were really cool... and very rare. Is it all sewn on? What does the stitching look like? At first glance it looks like a recently manufactured product, but i’d Be willing to look at better photos. Those black tassles sure seem strange. Has anyone seen those before? Vintage or newer/fantasy? It’s also on a BLACK stick....something I’ve never seen before. The lettering is sewn. The owner also has this pennant; letters also sewn. The tag says "Uniform Embroidery (indecipherable) Embroidery. I'm wondering if both these pennants are "one offs," made for a customer at an embroidery shop. The stitching on the Mays pennant looks period as does the label and the way it is sewn on. I have never seen a pennant like that, but doesn’t mean it’s not a one off. Looks factory made though. I think both those pennants are available. Anyone interested can PM me and I’ll put you in touch with the seller. edit: can anyone make out the name of the embroiderer? Last edited by ooo-ribay; 04-02-2019 at 10:24 PM. Took a peek on Worthpoint and in 2,600 SF Giants pennant sales, neither of these showed up. Not that that tells us much. Found this one while perusing "sold items" on eBay....surprising result. 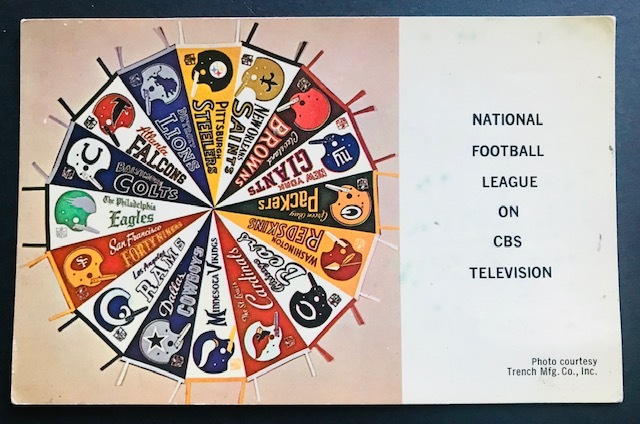 Not that this is a common pennant, but typically modern era (I believe this is from 1968), undated college football pennants don't bring too much. That price is nuts! What's also amazing is the fact that the top 5 bids all came from different bidders. Must be something that we're missing on this one. VA Tech - Late 1960s - Minor Bowl... should equate to about $50 max. Did you look through 2600 pennants???? Oh yeah...It's not as bad as it sounds. You can scroll through pretty quickly. Took about 10 minutes. Anyone remember the Hanco discussion we had a while back? Trying to remember what type pennant prompted it. Anyway...This is the first Hanco football pennant I've seen. Wondering if there are others out there. It's a 1930s graphic but on a 1960s (I'm guessing) pennant. Kyle...Did you say you were working on a Hanco entry for your site? Perhaps one of you won it? I'm curious about the manufacturer, as I see these minis individually all the time. The same company also sold a similar set featuring National League teams. I will post a photo from this listing and a separate one featuring the original card headers. Does anyone recognize the manufacturer? 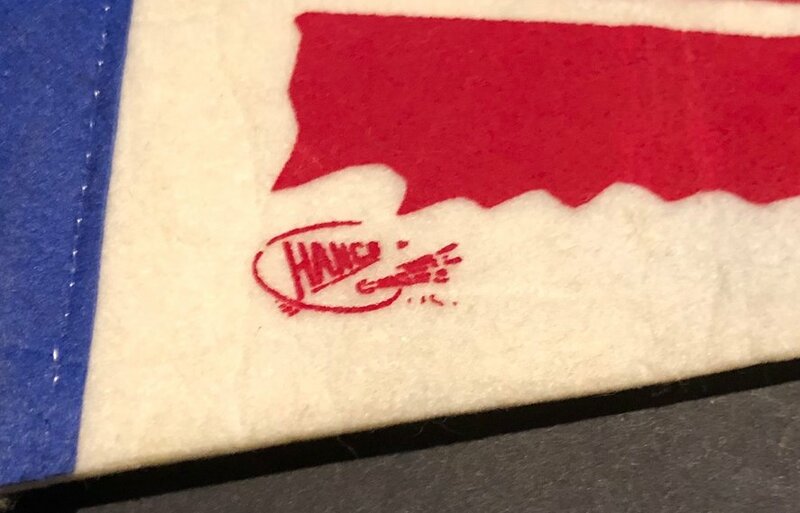 There appears to be a name or logo in the upper left corner of the card header, above the word "Colorful" but neither I nor the seller could make it out. Rob: I believe these were the first Hanco pennants we identified as being made for a professional sports team. They made an AL and NL set of minis around 1962. The other pennants we found of theirs were all souvenir ones. Your New York Football Giants pennant is the first football pennant of theirs I've seen. 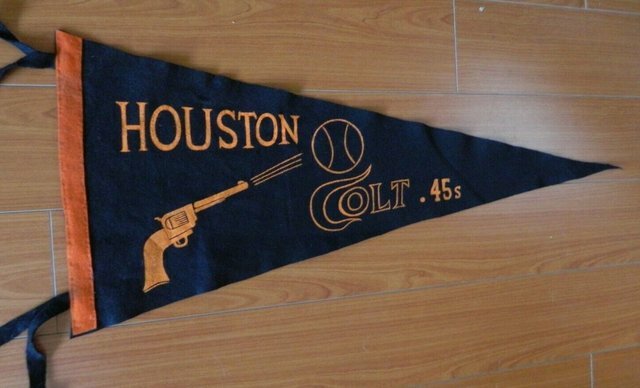 It's always possible they had been making sports pennants prior to the 1960s--but, not labeling them with a mark?? Suffice it to say I have not found much info on HANCO. They were located in New York according to their mark. That's where my last research trail ran dry. Today I found a Hanco Art & Novelty, Inc. in the New York state corporate directory. They first incorporated in 1980; but, that doesn't necessarily mean they didn't exist before then, as many businesses don't immediately choose to incorporate. It was dissolved in 1991. This has to be them. No plans to write a piece on them at Pennant Fever, as of yet; but, I'd consider it if I learned that they had made more sports pennants during their existence. Just added this to my Lakers collection. The felt is soft and all of the yellow felt in the pennant is raised but not stitched on. It is also blue and gold instead of purple and gold. Was this probably made in the late 60's? Yep, late 60s. Nice pick-up. Can’t read the ruler. 29-30” or more like 24-25”? It's about 26 1/2 inches long excluding its tassels. 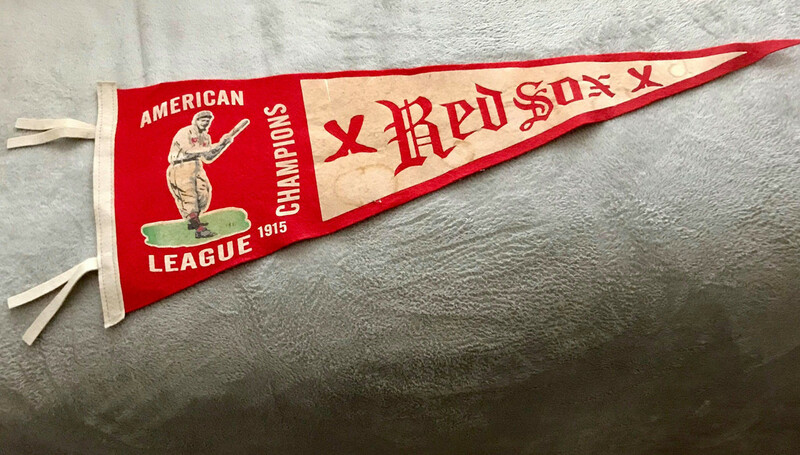 Hey guys, hoping to get your thoughts on this pennant I pick up recently. The seller listed it as 1930’s and it definitely has an old look to it. The older pennant I have all have the design screened/painted on. This pennant has the words and logo in felt and is not sewn on. Is this common? I’m questioning the authenticity. Any thoughts would be appreciated. Please don’t take my word as gospel, but I don’t like it as 1930s. Actually ... more like mid-1960s, before they moved into the Forum. I'm no baseball pennant expert but I didn't like the stitching on the spine. I've seen a lot of repros with stitching like that. Plus, that's very white for 80+ years old. That is a fantasy piece. Ebbets Field Flannel made pennants based off of 1937 BF3 mini pennant designs. Red Ball never made minor league full sized premium pennants. They either made these in the late 80s or early 90s.